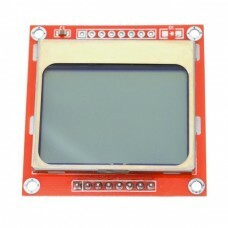 The 5110 LCD Module provides a small 84x48 pixel graphic display with a white blacklight. 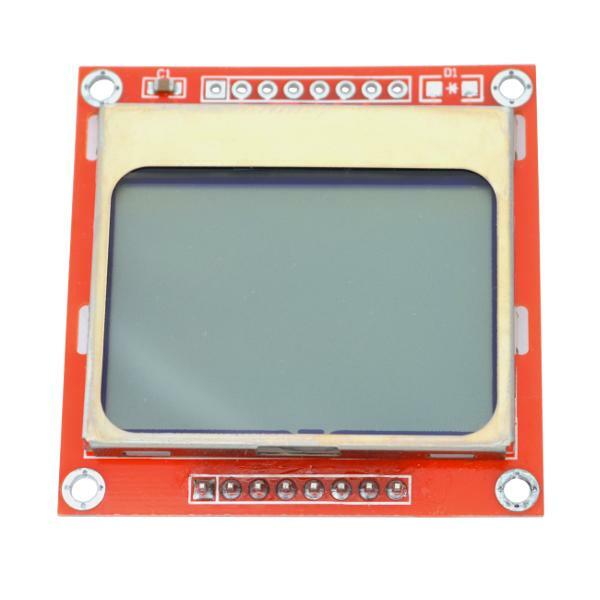 The LCD includes a controller module to simplify the interface with your microcontroller. A pin header at the rear of the module can be plugged directly into a breadboard for quick prototyping. 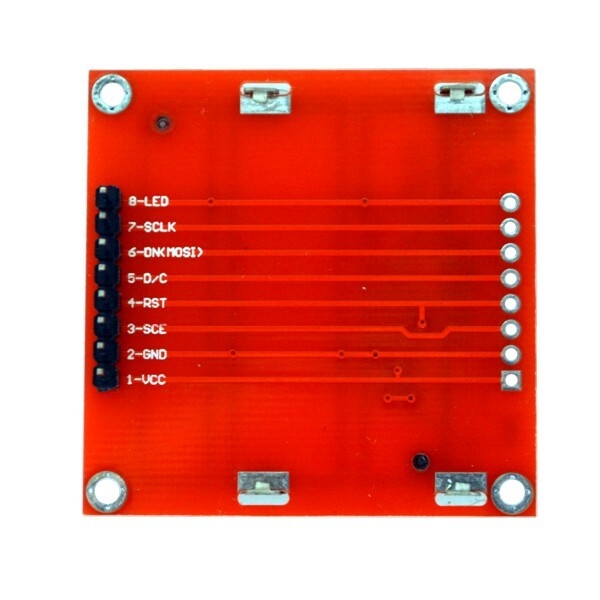 Four corner mounting holes are provided for placement onto your finished project. This module can be plugged directly into the IBridge Lite 3x3 Keypad Shield or IBridge 4x4 Keypad Shield for a complete Arduino UI solution. This version comes with an 8 pin male header that requires soldering. Choose the Black on Blue version if you prefer to have the header already soldered on. Please note that this popular LCD display is no longer manufactured so these modules contain recycled screens. The display may contain small blemishes.